If you have the project of a fine book print with embossing, gold blocking or selective UV varnish here is a good example of one of our latest achievements that could inspire you. Our client made a strong impression on the recipients during a distinguished ceremony where a single signed copy out of the 300 pieces was handed over to president Mr Emmanuel Macron. We have successfully implemented the colour printing SCREEN TruePress Jet 520 HD system. It is world's premiere on the book market of this breakthrough technology. 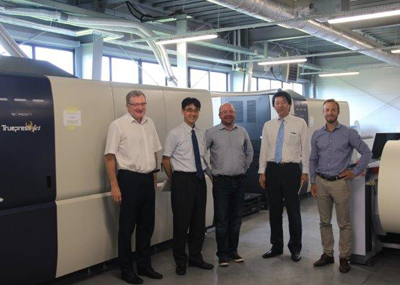 The machine allows printing on cheap papers, also coated, with unprecedented quality for the inkjet - 1200 DPI. Price and order online. Attention, prices are shocking! 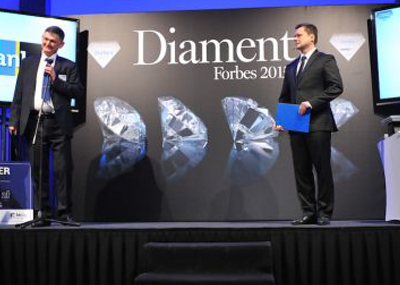 We are pleased to announce that Booksfactory has been honoured in the Forbes Diamonds competition this year. This is the third distinction of this award for our company. An extensive material about our printing house was published in the winter edition of Panorama magazine. 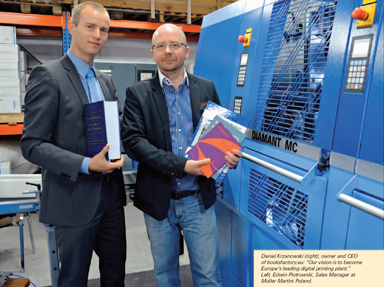 Describes installation of a new line dedicated for production of hard covers Diamant MC 35 and the Connex system. 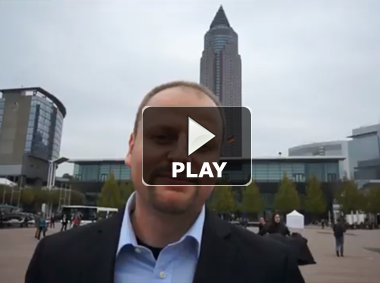 We are working on many European markets. Here are our representatives. Our customers The choice of professionals We are printing house, specializing in digital prints on demand of small and medium book runs. 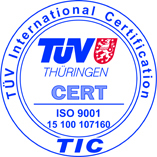 High quality Keeping an eye for a details We are the company that puts a pressure on high quality of our service. All the time we correspond with market requirements to be perceived as an example in the level of a quality standards. WEB TO PRINT The effective operation Nice and easy Web-to-Print formula facilitates cooperation and reduces ordering time to a minimum. 48 hours from now! Time is a money Part of the publication as well as individual copies of books printed with us could be ready within 48 hours.